Lets get to basics! – with a little hi-tech..
4 in 1 Soil Survey Probe – Simple Solutions! So you wanna grow better food? And you want to grow it well – of course!! If your looking at a ‘blank canvas’ in your vege garden plot (lucky you! fun with a F! ), the usual guide books will surely ask you for a pH test, and soil temperatures, site orientation for sunshine, and don’t forget about water holding capacity! Where do you start? Maybe have a look at this little number..
4 in 1 Soil Survey probe : pH, soil temp, sunlight meter, moisture meter. Too easy!! Soil pH: in half digit increments, no clumsy powder and dye and stick in sight! Soil Temperature: C and F! Get your seeds in ASAP! Available Sunlight: check that shady spot in the corner! Moisture Availability: Too wet/dry after adding organic matter?? now you’ll know! Compact, convenient and robust! It’s only 300mm long, will fit in your pocket! and fortunately, a battery is included (not that I’ll vouch for it lasting the distance! but hey it was a nice gesture ). If we’re all honest about moral family food production, then no soil is ever beyond producing something truly valuable! So have a go! What drew me to the 4 in1 Soil Survey Probe was that I now have a basic measure, that was consistent, that would help me gauge the influence of the changes that I make to my soils through liming, or compost, mulch, and fertiliser additions. Its kind of easy to think a little lime is good and so, of course, more is better… which it’s not (Google “chlorosis”). 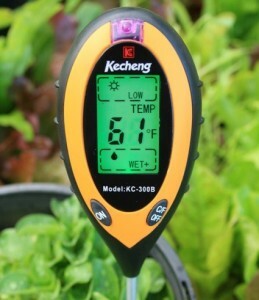 Hey, I should show a couple more pics of the info you’ll get..
Temp, sunlight, moisture – happy plants! A word about pH. The term “pH” refers to Hydrogen. And a logorithm measure of how much hydrogen ion is free to move within your soil. A pH measure of 7 is neutral, lower numbers are acids, getting stronger by a factor of ten each digit down to 1. Higher numbers are Alkaline getting stronger by a factor of ten each number up to 14. Usually we’re told to use Lime to raise the pH (number), and sulpher flowers to lower the pH (number). It’s a curious thing – why should either of those minerals have any effect on a measure of Hydrogen? It leads one to think that it might just be a little more complex. 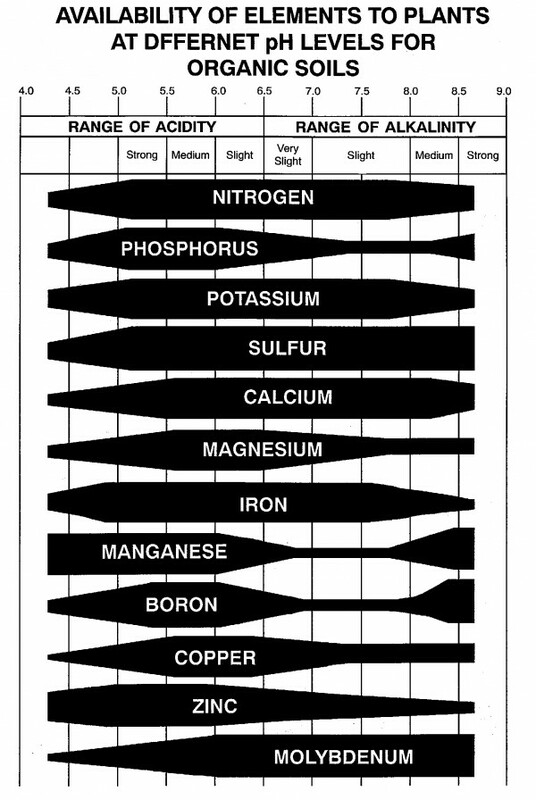 Do I hear you say..
All that stuff above might make a little more sense in relation to..
Best fit your soil pH down these mineral bars = better food! Even a quick look will suggest that maintaining your soil within the range of pH 6 -7 will give your plants the very best chances to flourish and ward off pests and pestilence. It will give you better chances of achieving a more mineral-dense harvest. A huge headstart in making food for healthier homes! More minerals give rise to the chance that there will be more vitamins and proteins that nourish our health, not just our appetite. The 4 in 1 Soil Survey Probe, is a handy tool that allows one to check their plot often, conveniently, and helps us all plant seeds in their natural season. And its economical! I got a few extras when I ordered all of our for our farm. It made sense for shipping. We’ve used them a while now and had nil hassles. This probe does the job. Get one quick, I dont have heaps! This price includes shipping within Australia! Postage included! Choose your state! and you know what, – Farming is Fun! 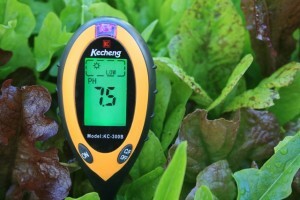 This entry was posted in In the Toolshed!, Uncategorized and tagged acid, alkali, healthy eating, lime, market garden, minerals, moisture_meter, pH, salt, soil, soil_probe, soil_temperature, sulphur, sunlight, temp_probe, tools, vegetable garden, water by humble house. Bookmark the permalink. Are these probes consistently accurate? Do they need regular calibration? 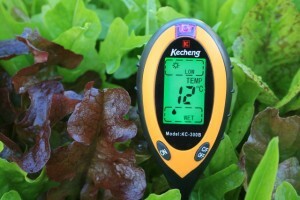 I’m looking for a soil thermometer but if the extra functions are good I’d be interested. I should ask if you have any left? Sorry this message slipped past me fraser! – the catch is they are simple and robust, very repeatable, but gives pH in half digit increments. 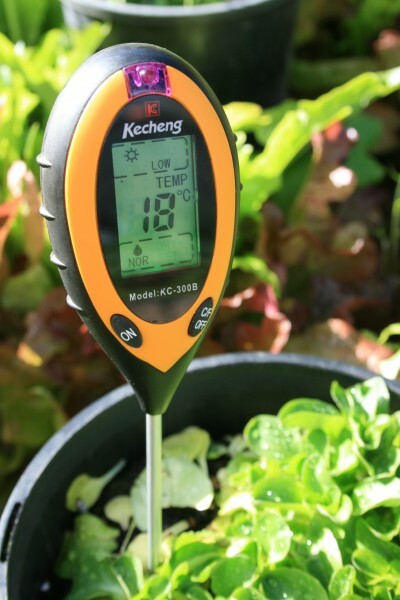 It gives a decent picture in that regard, but we use the thermometer for soil/compost temperatures more…. kind regards, wade.